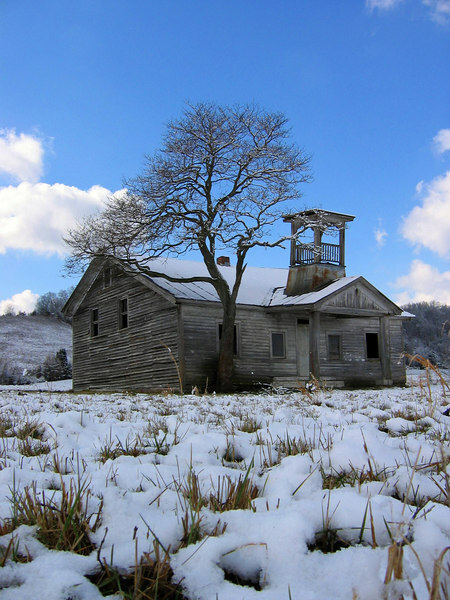 Winter at the old School House, Boyds Creek. Outstanding quality and subject matter. Voices of the past can be heard loud and clear, children arriving after their long morning walk to school.